Thinking about the future is something nonprofit marketers constantly do. From contemplating how to better engage Millennials, to seeking out new foundations as granters, there are seemingly countless things on the minds of these marketing pros. One thing we know these marketers often ponder -- but many neglect to act on -- is adopting inbound marketing solutions for their organizations ... and it should be something they consider. With the ROI inbound has been proven to provide brands of all shapes and sizes over the last several years, it's no wonder nonprofits may be interested in bringing the inbound philosophy to their organizations. There are numerous excuses companies and organizations tend to use, though, as reasons not to do so. Well, I'm here to respond to these commonly made excuses and reveal how inbound can most definitely work for your nonprofit -- that is, assuming you haven't already implemented an inbound strategy (and reaped the rewards). Read the 14 excuses below -- as well as my points about how inbound truly can help your marketing efforts. 1) "Our organization isn't ready for inbound marketing." 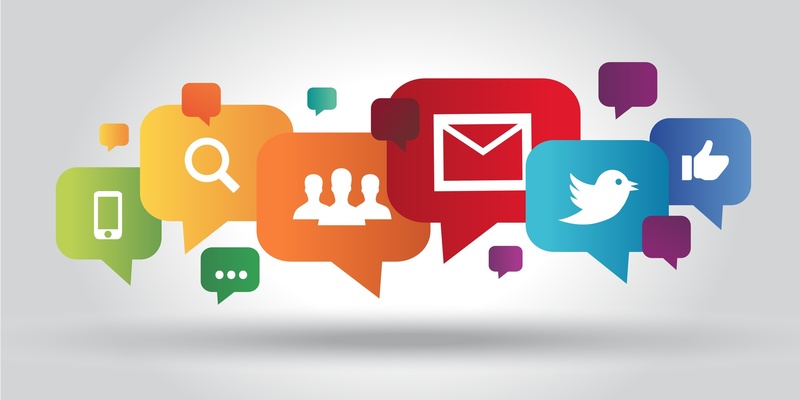 If your organization has a website, is on social media, and has ever sent an email, you're ready for inbound marketing. It's all about getting into the mind set that you CAN do it, and with the help of your fellow staff members and volunteers, inbound marketing is possible for any organization. To ensure you're set up for inbound success, though, you need to do a couple things off the bat. 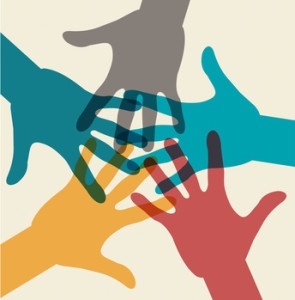 First, you must understand what it means to be an inbound nonprofit. Implementing this philosophy means going all in. This means optimizing your website, blogging consistently, producing other high-quality content, maintaining a presence on social, and personalizing emails, among other inbound tasks. Second, you've got to define what your marketing goals are for your online strategy. This will help you understand what specific tools you need to be an successful inbound nonprofit and who's responsibility it will be to execute the aforementioned tactics. Start with these two steps and you're well on your way to being an inbound force. 2) "Our demographic of donors is older and not online." StayClassy sampled 50,000 of their online fundraisers and found fundraisers who are 40 years of age or older raise more on average than fundraisers between 20 and 40 years old. Meanwhile, a British marketing firm also found that 29% of social media users are between the ages of 45 and 64. So, it's clear this demographic is not only online, but also quite active with online fundraising and on social media. The results from surveying constituent base can vary for every organization, but you should survey yours to find out two things: 1) how old they are, and 2) what social media platforms they're using. A survey can help define your online strategy and direct your plan of action to engage this older demographic online. 3) "Every dollar should go to the mission. We can't spare money for technology." In a perfect world, every dollar raised by an organization would go directly to the mission, with no exceptions, expenses, or overhead. But, unfortunately we don't live in a perfect world, and your organization needs certain resources to stay alive. Investing in technology that allows you to maintain a presence online is going to help in the long run -- whether it's being more efficient to collect donations or scaling your audience through social media to attract a younger generation. If you're starting a new organization, think about charity: water's 100% model, in which they have investors give money to support the staff and expenses -- including technology -- and use 100% of funds raised and donated by their constituents to the mission. Simply put, you can't disregard the profound effects technology can have on your organization's short- and long-term wellbeing. 4) "Our constituents will not fill out a form." No one likes to fill out forms. But, if you're providing valuable information to your audience, then collecting personal information via a form is effective to growing your email list and base of supporters. Defining different personas your organization is looking to attract and sharing the right information and stories with them at the right time is the key to an effective inbound marketing strategy. And at one point or another, you will need to ask for contact information to build a relationship online and offline. Now, there will be those who are inspired enough to support your organization and won't care about filling out the form. However, it's still ideal to focus on having forms on your site, to reach as wide an audience as possible. 5) "I have nothing to write about on a blog." Content is a challenge for everyone, but organizations have a HUGE advantage over for-profit companies: They have compelling, inspiring, and -- most importantly -- personal stories of people who support, give, and advocate for their missions. You likely have hundreds -- if not thousands -- of stories to tell from their perspective, which gives your new supporters seemingly endless opportunities to connect with your mission. You just have to make sure your stories are easy to find and interact with, whether it's through your website, search, social media, or email. What's more, your blog is the fastest, most efficient way to share your stories, as you can link to that story from various marketing channels. Start thinking about yourself as a storyteller, not just an advocate, and start a blog -- you'll be amazed how good you can get in such a short time ... and just how effective it is in getting new fundraising prospects in your database. 6) "We have one or two annual appeals. All our time should be focused on that." Your annual appeals are very important, but an online strategy using inbound marketing should be part of that appeal. Do you use your website, social media, or email for these appeals? How are you interacting with constituents during this ask? Incorporating online channels with offline channels can really impact your overall fundraising goal, as well and reaching new demographics. Whether you have year-round fundraising or time-based fundraising campaigns, inbound marketing can and should be incorporated into these appeals. 7) "We'll end up bombarding our donors with too many emails asking for donations." If you're providing the right information to people at the right time during their life cycle with your organization, you won't be bombarding them with just donation asks. New constituents want to hear about your accomplishments, available programs, volunteer opportunities, and successful fundraisers. As they learn more, they'll want more information of how they can get involved by giving or fundraising themselves. Once they've interacted with your organization for a period of time, it will be okay to make the hard ask for them to fundraise, volunteer, become a member or donate. 8) "Our board doesn't understand inbound marketing." This is a great opportunity to become the champion for inbound marketing within your organization. If you believe in having an online strategy and using inbound marketing to accelerate your organization’s work, make the case to your board why it’s worth adopting. For instance, you can compare your current initiatives that aren’t working or are flat in terms of effectiveness and how inbound marketing can improve or replace them. Learn what you can about inbound marketing and develop a plan for your organization and present it. Just make sure to highlight to the cost and ROI you project to see to justify the upfront investment. 9) "We should spend the majority of our marketing budget on direct mail since it works." Sometimes, direct mail can work for certain organizations ... but only to an extent. It can be helpful to drive traffic to your website or specific landing pages and can drive online donations. But, you want to attract more people who are looking to support an organization like yours and those who are connected to your organization through their family, colleagues, or friends. Your current constituents are the channel to their extended networks, meaning they can attract even more inspired individuals. And let's face it. The majority of people are looking for information online. Just like you don’t want to overwhelm people with donation ask emails, you don’t want to spam people with mail. Cut your direct mail budget in half, and spend the extra money on a content creator. You won't regret it. 10) "We're too busy planning and running events to worry about our website." Just like your annual appeals, fundraising events should incorporate your online channels. Where do you have all the event information? How do people register? If you offer individual fundraising, how can they fundraise? Where do you share the success of the event? All of this can and should be online and share through social media, email, a blog, and other parts of your website. For the majority of traffic that is in research mode, seeing the success of past events is just as important as knowing how they can participate in future ones.